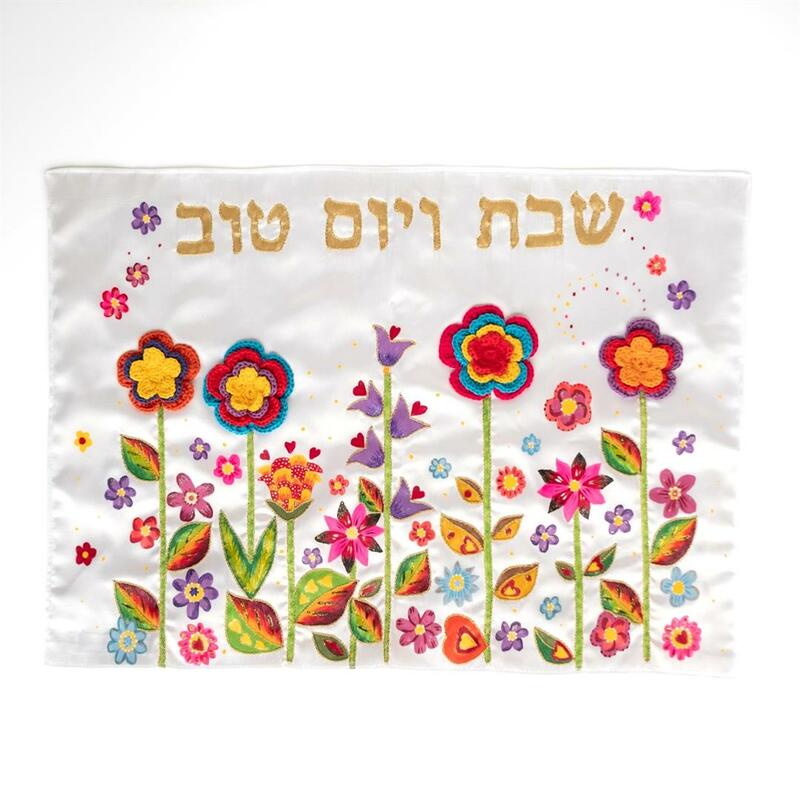 Our now famous Flower Power Challah Cover! 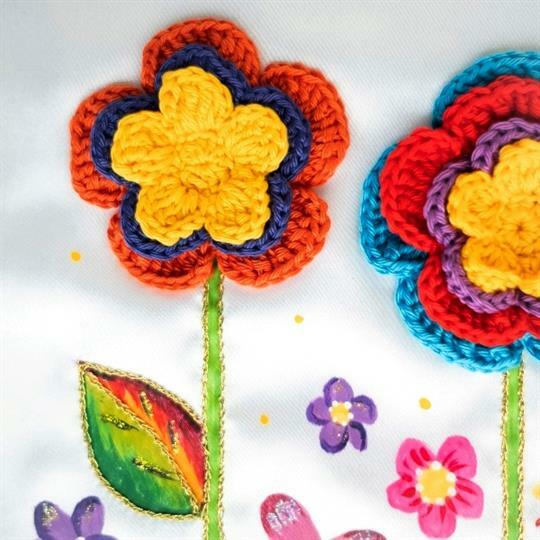 Painted, embroidered and crocheted flowers decorate this gorgeously unique challah cover. The Hebrew words "Shabbat V'Yom Tov" ('Shabbat and holidays') are featured at the top. Sure to bring life to any Shabbat or holiday table.